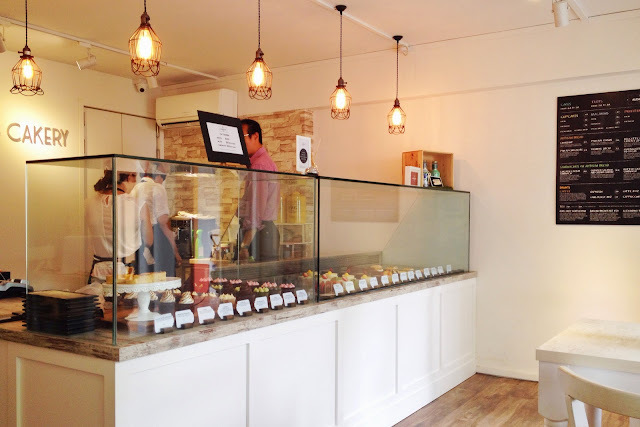 Audacious Cakery might have been the most hyped newly opened bakery in Singapore. 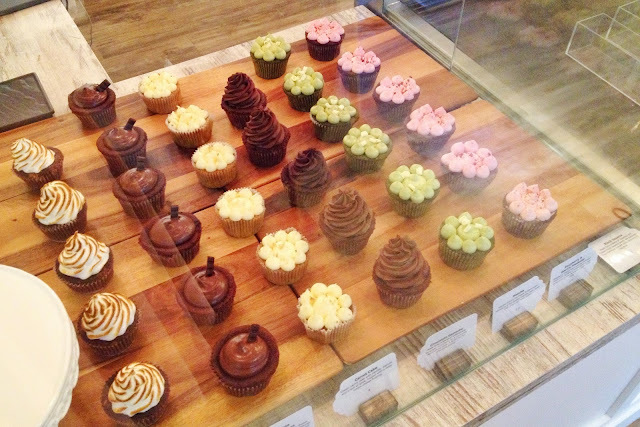 Everywhere people talked about Audacious Cakery - virtually or physically. 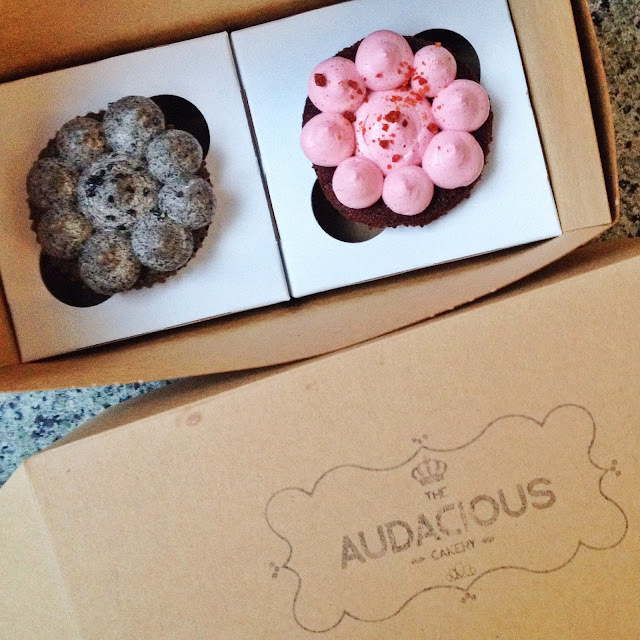 Until I have gotten the chance to actually visit Audacious Cakery. 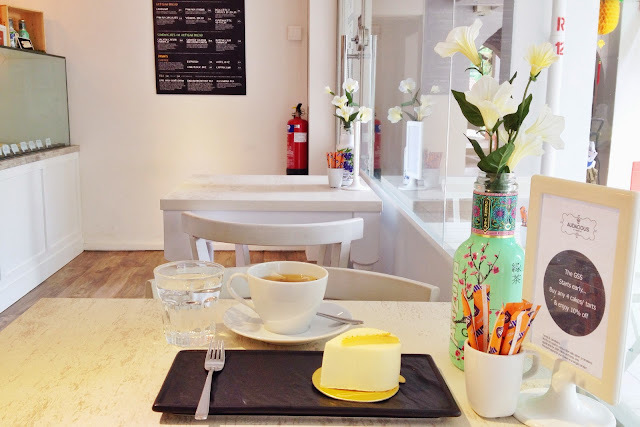 In my dictionary, there are generally 3 types of cakes: the French, the Japanese, and the American, and Audacious Cakery serves French cakes as well as cup cakes. I arrived during the afternoon at around 2pm and almost no one was there. I was all alone by myself until around 3 or 4pm where groups of teens and peeps in their early twenties came. 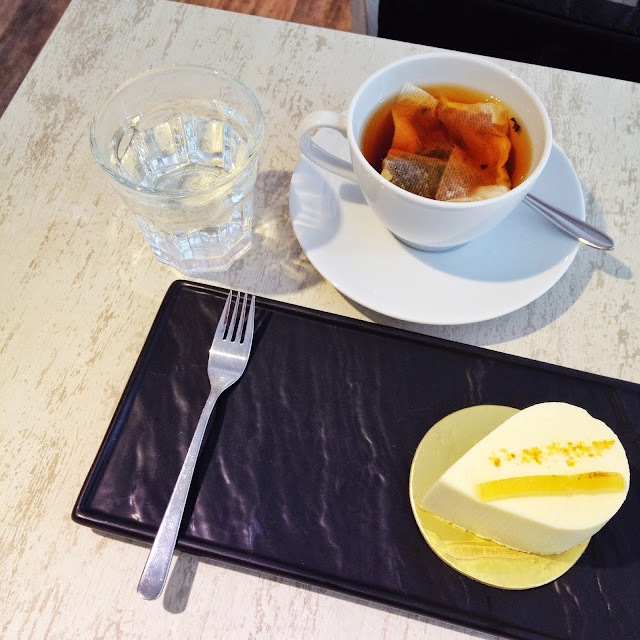 I ordered a cup of Earl Grey Tea ($5) and two slices of cake: the Yuzu cake and the Matcha cake. Each cake costs around $6.90 to $8.90. The tea was from TWG, and carefully placed into a tea bag and placed into a cup. You may ask for more hot water for tea. The two cakes I tried did not impress me. The Yuzu cake: the sweetness of the cake was subtle and suits my liking well, but the mousse was to "chessy" and "fatty" with a very mild flavor of yuzu. This was not a mousse a would brag about. Other component of the cake would be the sponge cake which was okay, and some yuzu compote which was slightly too sour. As a whole, I thought more improvements should be done to make the cake perfect. 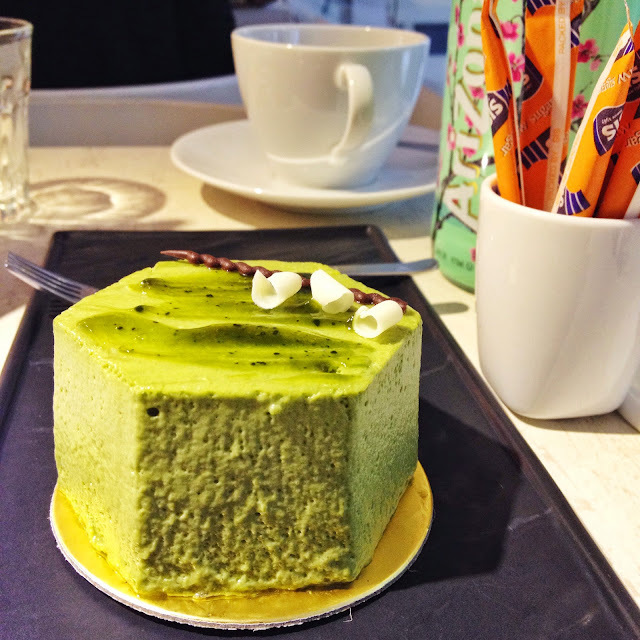 The Matcha cake: I ordered this cake after I finished the Yuzu, and the staff told me that it's her favorite. However again, the mousse was off. I thought they tasted more like whipped cream mixed with some green tea powder. The consistency was not smooth enough. As a whole, I thought the cake lack of flavor. The matcha was subtle. The black sesame center was subtle. Another disappointment. After getting disappointed with the cakes, I decided to give their cupcakes a try. I ordered the Raspberry and Black Sesame Cupcakes ($3.5 each) for to go. The cupcakes were not bad, although not the best. I like the frosting as they were not too dense and they were flavored well. While I was sitting there, a lot of people came to pick up ordered cakes and place orders. Nevertheless I personally feel that among the "popular" cakery in Singapore, Audacious Cakery was my least favorite. I would still far prefer Antoinette which has mastered the French cake as a perfection - presentation, composition, consistency, and taste, or Kki, which had a much simpler approach on Japanese cakes but with strong and balanced taste.